Visa presents infographic detailing the state of U.S. EMV migration as of June 30, 2016. 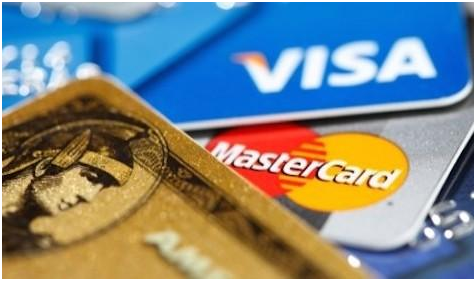 With more than 50% of all US credit cards now containing chips, EMV transactions will continue to rise. “Dipping” versus “Swiping” at the point of sale might take a little getting used to, but here’s a simple breakdown of the transaction process. As the October EMV Liability Shift date approaches, we wanted to provide a clear explanation of EMV in today’s payments industry landscape, as well as a realistic look at what the coming months will bring. EMV is a joint effort between the card brands to increase card and cardholder security across the globe. 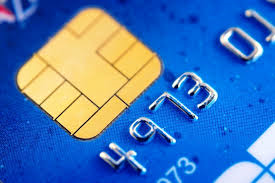 Rather than relying on card mag stripe technology (which is the same technology used in cassette tapes), EMV payments use “smart” or “chip” cards. The new cards encode a user’s account information in the embedded chip, which generates a unique, one-time code for each sale. This prevents the data from being used to create counterfeit cards. Chip cards will be entered into the terminal during a transaction, not swiped. In order to take advantage of the new security measures, existing swipe terminals must be upgraded to EMV-compliant equipment. However, chip cards will still be able to be swiped, as they are today, if a terminal does not support chip transactions. Starting in October, new rules will go into effect around the financial liability for counterfeit fraud losses. Simply put, the liability for the fraudulent transaction will shift to the party that is not EMV-enabled. If all parties are EMV-enabled, the liability will typically stay with the card issuer. Unlike most other retail settings, where the biggest consumer-facing change for chip cards will be to ask the shopper to dip the card rather than swipe it, restaurants must entirely rethink how they handle card payments. Because the card is never supposed to leave the possession of the cardholder, servers will no longer be able to carry the patron’s card away from the table. Restaurants will either have to implement a “pay-at-the-table” device or have a single register or payment kiosk. It will also mean that diners may have to choose a tip amount at the time they present the card. EMV-enabled hardware and software solutions for point-of-sale systems and mobile payment applications are not fully developed as of yet. Rest assured, we are in frequent contact with our vendor solutions partners. When our partners are able to provide a viable solution for our merchants, OMEGA will be in contact about upgrades and deployment. EMV provides challenges for non-tip merchants who do not want to bother with a signature if a purchase is under $25. The EMV application will require a signature, regardless of the amount. However, for merchants who have selected the QSR terminal application, there will not be a signature required for any non-EMV transaction under $25. As the US payments market moves toward EMV adoption, here are some points to consider. According to Visa, just 18% of the 720 million Visa-branded credit, debit and prepaid cards in the US contained an EMV chip as of July. Also, only approximately 4% of merchants and 7% of bank and retail ATMs were enabled for chip card acceptance. While this number is growing, the reality is that not all merchants will be chip card-enabled by October 1, nor are they required to be. According to a Visa official, the company sees “October 1 as the starting point, not the endpoint” of the US conversion. OMEGA Processing has multiple EMV-enabled terminals available, with various pricing and financing options. We are working closely with the processing networks to ensure that the processing applications are field-ready and free of errors. Please contact our customer service center at 866.888.9724 Ext. 7 with any questions or for more information. EMV- payments are coming, and they’re coming soon! The EMV liability deadline hits October 2015. EMV is a joint, international effort between the card brands to increase card and cardholder security. Rather than relying on card magnetic-stripe technology (which is the same technology used in cassette tapes), EMV payments use “smart” or “chip” cards. The new cards encode a user’s account information in the embedded chip, which generates a unique, one-time code for each sale. This prevents the data from being stolen and used to create counterfeit cards. Rather than swiped, smart cards will be entered into the terminal during a transaction. Consumers will also have to either a sign a pin pad or enter a PIN to complete a transaction. This all means that existing swipe terminals must be upgraded to EMV-compliant equipment in order to take advantage of the new security measures. The October 2015 Fraud Liability Deadline means that there will be a change in financial responsibility if a fraudulent transaction takes place. Merchants who experience fraud or chargebacks while using a non-EMV processing equipment will assume the liability for those transactions. As the deadline approaches, EMV education efforts are ramping up. Here’s a look at the ones we think are most helpful. GoChipCard.com addresses the basics of how to identify and use a chip-enabled terminal, how to slide EMV cards into the readers and, most importantly, not to remove the card until prompted to do so. SellSafeInfo.org was recently launched by the Electronic Transactions Association to help protect both merchants and consumers. The site is a one-stop information resource for merchants about today’s payments landscape. emv-connection.com provides up-to-date information for all industry stakeholders on the status of EMV migration, along with tutorials and educational resources that will assist with migration. Visa online EMV toolkit includes a step-by-step guide to adopting chip as well as videos, infographics, and other resources to help merchants make the seamless transition to chip-activated terminals. Learn about EMV and chip cards with frequently asked questions from Discover Card and American Express. OMEGA Processing Solutions can upgrade your processing equipment to EMV-compatible terminals today at little or no cost. Contact your Account Executive or our Customer Service Center at 866.888.9724 Ext. 7 for more details. Big changes are coming to the 1.2 billion payment cards in today’s wallets. Today’s mag stripe cards (which is the same technology used in cassette tapes) are being replaced by EMV-enabled cards containing micro chips. 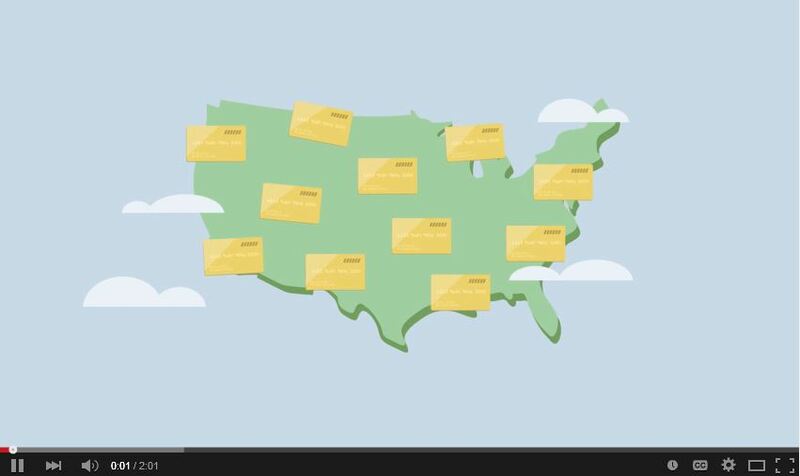 With the October 2015 EMV deadline just a few months away, the Electronic Transactions Association has produced an EMV 101 video for small business owners. Take a few minutes to learn about the upcoming changes! Let OMEGA Processing guide you along your EMV roadmap. Call 866.888.9724 or go to http://www.omegap.com TODAY! You are currently browsing the archives for the EMV category.